Val has always loved growing and using herbs of all kinds. She worked with a traditional healer,in Sweden, and later qualified in Herbal Medicine, with a first class honours degree from the University of East London. She has been working as a professional herbalist for the last ten years and is a member of the National Institute of Medical Herbalists. Val is also a qualified teacher and helped to set up the School of Herbal Medicine in Somerset. 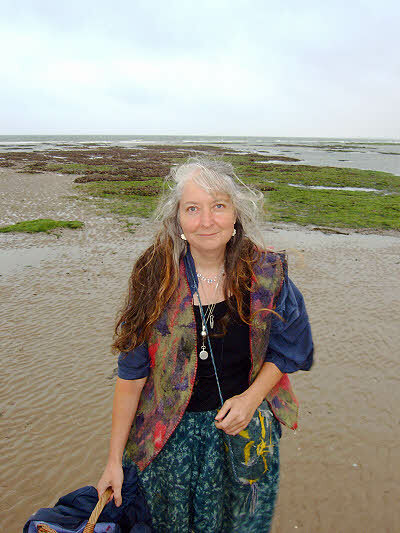 She currently teachers Herbal Medicine at the Homeopathic College of East Anglia, as well as giving talks and running workshops and herb walks throughout the year. It is so exciting when people realise that many of our common native plants have medicinal properties. Some of them are even the weeds most hated by gardeners, like Nettle, Dandelion, Cleavers, Daisies and Burdock. Val researches and writes on the history of herbal medicine, especially the Anglo-Saxon manuscripts of the 10th and 11th centuries. It is fascinating to discover that our ancestors used many of the same plants as modern herbalists, often in very similar ways. It is both inspiring and humbling to be part of such an ancient, yet living tradition. First consultation (one hour): £50. Cost of medicines additional (from £7.50 per week).